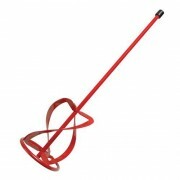 Helical Bars are designed to stabilise and repair cracks in masonry walls and brickwork. 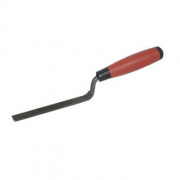 This product will provide resistance against further cracking and restore the structural integrity of the masonry. You can buy the wire separately or in handy crackstitching kits which will provide you with everything you need to carry out an effective crackstitching project. SpiraCoil Helical Bars have been specially designed for non-destructive crack stitching repairs to masonry walls and brickwork. When bonded across cracks, together with SpiraGrout, they re-connect and stabilise the wall and the load is dispersed across the complete length of the bar, restoring the structure to its full strength. 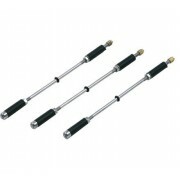 (Spiracoil bars have a 6mm diameter and they can be bought in a range of sizes from 1m bars up to 10m coils. Packs of 1 coil, 10 bars and 100 bars are on offer). A new product to our Wall Ties range, these Neoprene ties are the stongest most effecient ties on the market. Easily installed using a standard drill and the application tool, these ties will revolutionise the way you repair corrosive wall ties. Spiracoil Helical Bars together with SpiraGrout Masonry Repair Grout offer you an optimum Crack Stitch solution. Spiracoil Helical Bars are an austenitic stainless steel reinforcing material that has many unique properties. 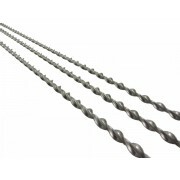 Spiracoil helical Bars are rolled from a plain round wire; the fins are work-hardened to a very high level whilst the core remains relatively soft. The subsequent twisting process puts the fins into tension and the core into compression. The tensile strength of the base material is more than doubled during the manufacturing process. The pronounced fins over the core make the bonding characteristics of Spiracoil Helical Bars far superior to the alternative standard reinforcing materials. The uses of the Spiracoil Helical Bars are both wide and varied. The Spiracoil Helical Bar can be used for unlimited masonry structural reinforcement and can be utilised in many specialised refurbishment requirements including new build, apartment buildings, historic buildings, bridges and many more. No load and tension concentration. Load dispensed over the complete length of the bar. No additional plates or screws. Ideal interaction with the masonry. Spiracoil Helical Bars are free from expansion stresses when installed, so no further stresses will be introduced into the structure. Further, because the Spiracoil Helical Bars are quick and easy to install, the integrity and stability of the structure is restored quickly and economically. Using suitable chasing equipment, cut horizontal slots into the masonary to the required width, depth and length. Clean out thoroughly with clean water. Apply continuous bead of SpiraGrout into the slot with SkilledBuild's Grout Gun. Insert length of Spiracoil Helical Bar and push into the SpiraGrout. Apply a further bead of SpiraGrout, allowing enough room in the slot to re-point with matching mortar. 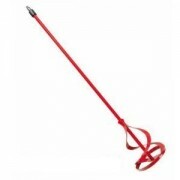 The Spiracoil Helical Bar must extend 500mm beyond the end of any opening or crack. Where cracks are within 500mm of corners or reveals, the bar is to be bent and bonded around the corner to the recommended distance. When joining Spiracoil Helical Bars, ensure that the bars overlap by at least 500mm. Crack stitching cannot cure the cause of the crack. Crack Stitching can only remedy the symptoms of the cause. Always seek the advice of a structural engineer before undertaking any structural repair.